I love a good peanut butter and strawberry jelly sandwich! 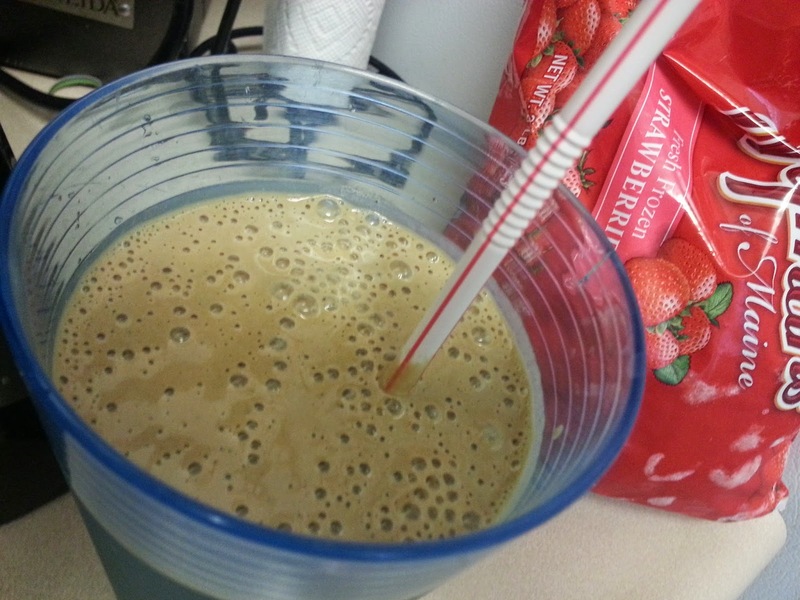 This smoothie has the same flavors, which is really nostalgic and satisfying. Have I told you how much I love my new Vitamix? I love the Vitamix blender!!!! It blends seeds and greens into a perfectly smooth drink, and it is awesome for making your own nut butters and hummus, too! 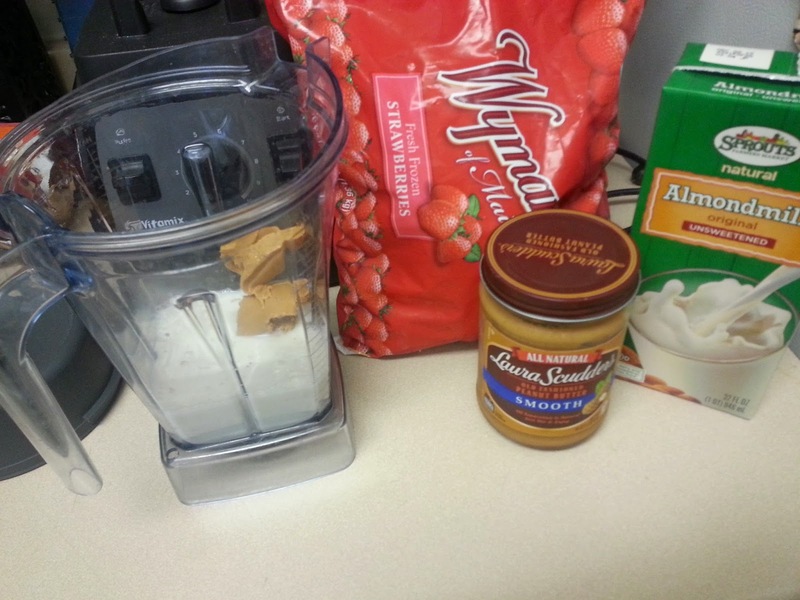 Add all ingredients to blender. I do the milk first at the bottom, then everything else on top. 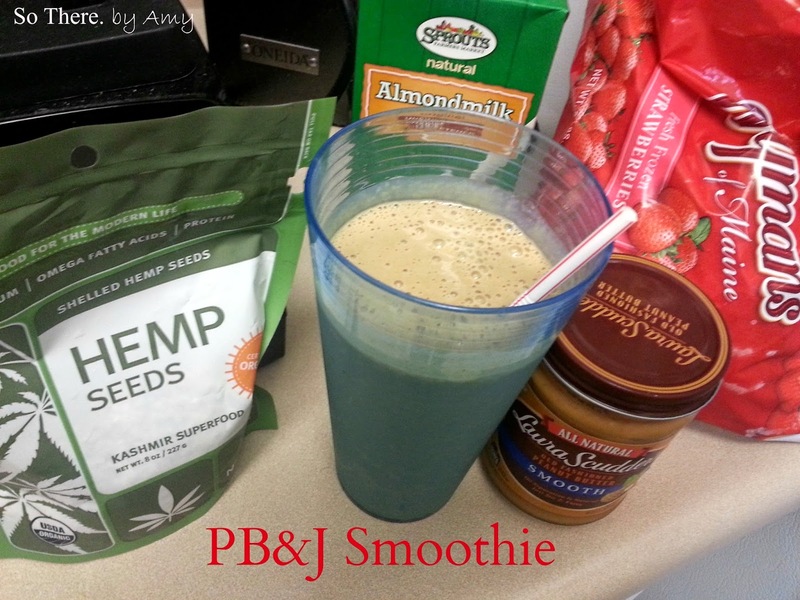 For another smoothie idea, check out my Green Smoothie!